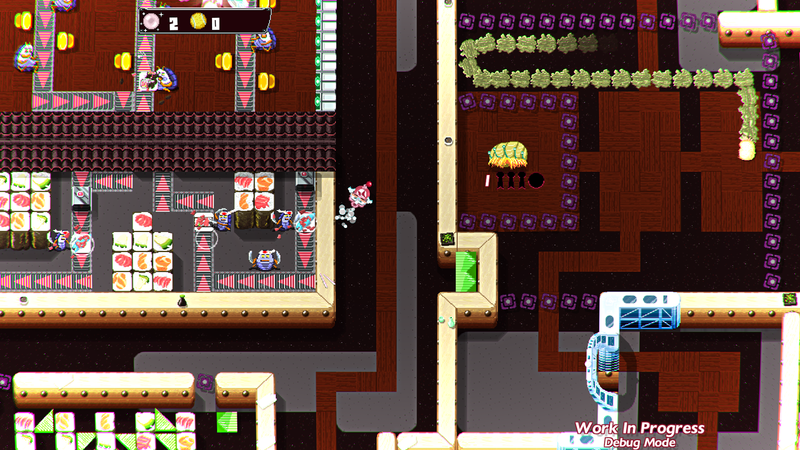 About 80% of the Action levels in Pig Eat Ball are finished. Worlds 1-4 have been worked on for months and have their first-pass Action levels finished. 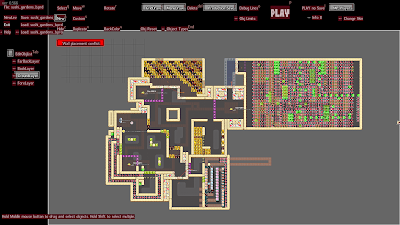 The Overworlds (the hub areas where you explore and play, and then pick Action levels to try to beat) are in place as well. 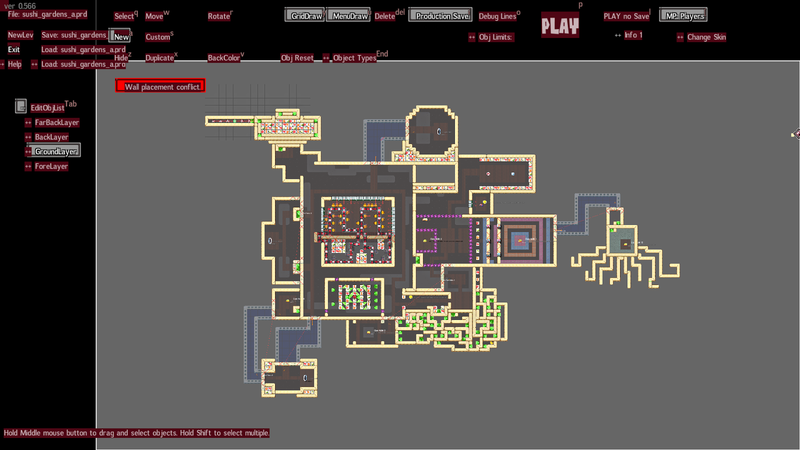 But it takes a lot of time to perfect the Overworlds. Honing the entire experience, playing through an entire world and making sure the difficulty balance is good, all the bugs are worked out, and figuring out all the Oveworld puzzles and secrets to add takes many weeks. Plus each boss is getting reworked! That's where we are currently for World 2. World 1 is great, it is "done". World 2 is almost there too! 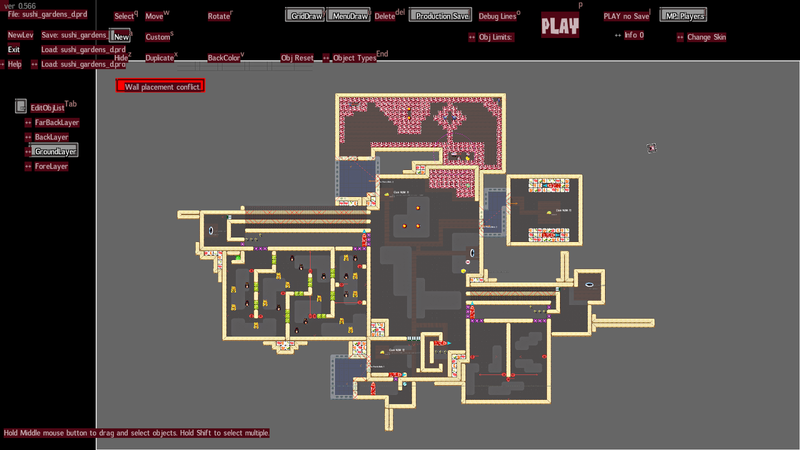 We've added an entirely new mid-boss fight, and enhanced the main boss greatly. 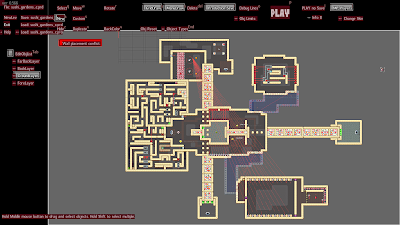 And we've added several new levels and new mechanics to the Action levels. 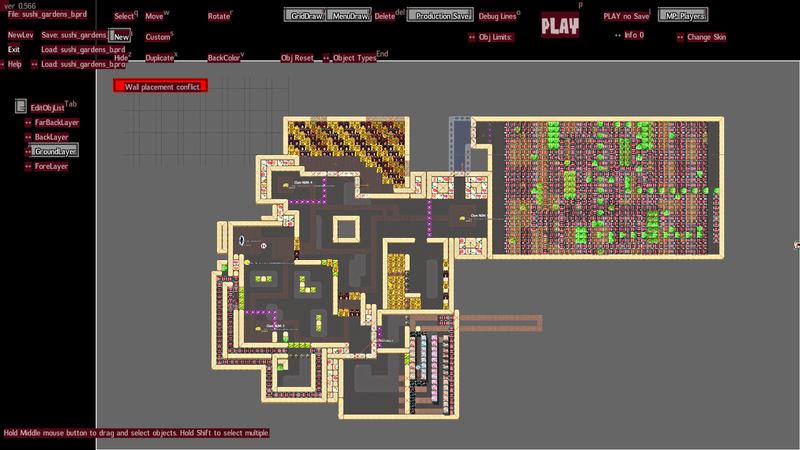 Here's some "bird's eye view" screen shots of the Oveworld levels for World 2. 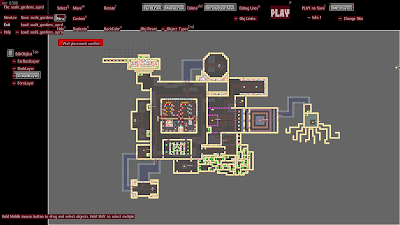 Each World consists of four Overworld levels. These allow you to explore and find secrets. And to pick Action levels. 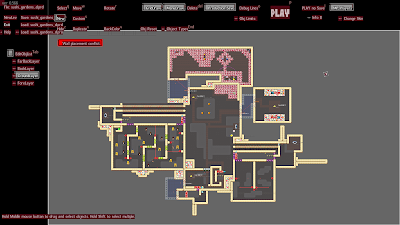 By beating Action levels, you unlock new areas to proceed to, eventually beating the game and finishing the story. 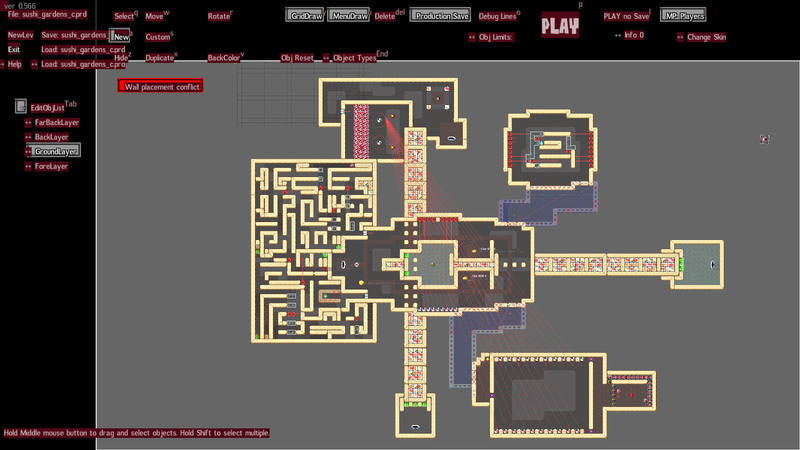 Keep in mind, these screenshots are from the LEVEL EDITOR! That's why the background is grey and some layers are greyed out. Make sure to CLICK them to see more detail! 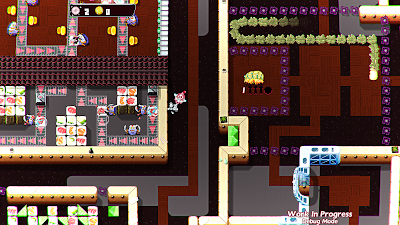 "Main Hub" section of World 2, the Sushi Gardens. In these 4 areas, you play around and decide what Action levels to play. And here is one of my favorite areas of World 2, this is a functioning sushi restaurant! Check out the left side of the screen: The sushi chefs on the bottom chop up the food and the patrons at the top gobble up the sushi! The fun part is you getting inside and barfing on everything! Next up for World 2, I have to finish up the cutscenes for beating the midboss and world 2 boss. Onward and upwards!